Although there are others, let’s focus on 2 considerations. I’m about to give you what I suspect is my most-ignored advice. For the first 6 – 12 months of with a new license, I truly believe it would better and safer for that young person to borrow a family car. 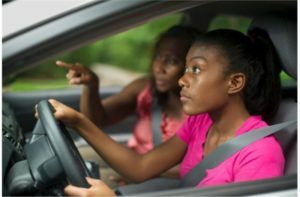 Now, suppose that for the sake of convenience, you want your teenager to drive in a car that’s not the one you drive, or the one your spouse drives (if applicable.) Consider, then, obtaining an ADDITIONAL FAMILY CAR and require your teenage to rotate driving the different cars. Why? I’m not being punitive. I believe delaying your teen getting his or her own car is safer because, among other things, it discourages a sense of personal ownership of the vehicle, which I then do believe increases safety. Think about it. Is your child more likely to drive recklessly in his snappy little import, or her big truck, versus your prized Camry or Tahoe? Awesomely, it easy to check a car you want your teenager to spend time driving for crash test results. Google “Crash tests” or try this, this, or that. In recent years, there are lots of available articles about best cars for teens. Try these.